CIOs and other business technology managers can free up valuable resources for strategic activities by deploying cloud applications that are less costly and complex, yet more intelligent and user friendly, than on-premise applications. This opportunity can be lost, however, if CIOs are unable to differentiate real cloud providers and applications from the imposters. 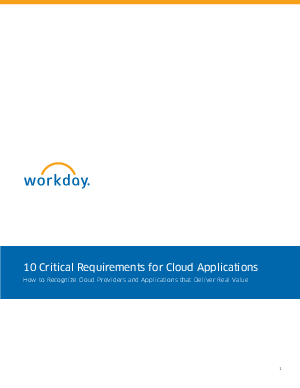 Download this document now to find out the 10 critial requirements of cloud computing to help organizations distinguish the difference between real and fake cloud applications.